Research carried out by paediatrician Kevin Borg, who has a special interest in safeguarding children, shows that, more than anything else, the health division in Malta is lacking an over-arching child protection policy that sets standards for all health professionals working with children, including doctors, nurses, midwives and other allied health professionals. These include learning about what appropriate action to take when there is concern related to the wellbeing of a child, including possible maltreatment or abuse. “In Malta, those working in institutions with children, including health authorities, are not obliged to meet any standards or undergo training. It is up to each organisation,” he said, speaking to The Malta Independent on Sunday. In the findings of his 2016 Master’s degree research with Warwick University, Borg gained a clear insight into the views of paediatricians in Malta in relation to child protection work. He chose to focus on paediatricians because of their positions as child health specialists. 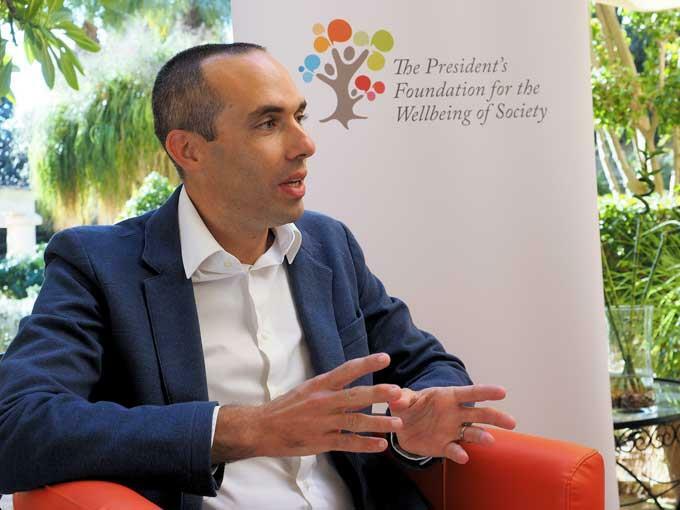 Borg will be presenting his research at the 3rd National Child Wellbeing Conference of the President’s Foundation for the Wellbeing of Society, which is taking place in Malta next week in collaboration with the International Foster Care Organisation and partnering with National Foster Care Association Malta, the Foundation for Social Welfare Services and Eurochild. The global conference is called Setting Sail from a Safe Port: Giving our children confidence to move forward with safe and permanent relationships. When it comes to child protection, Borg explained that Malta had ratified the United Nations Convention on The Rights of Children back in 1990, yet the first Child Protection Act was approved only last January. However, despite this act, Borg’s work identified some shortcomings in the law. One is that, when it comes to the law, there are no obligations for institutions working with children to establish standards for child protection. Instead, it makes reference to a Director to draw up policies and procedures with the relevant institutions which, Borg explained, is not the same. He highlighted the importance of having a specific national child protection policy that shows how institutions should be working together in the best interests of the child, rather than institutions working in silos. “Different sections such as education, health, sports and the Church, can all set up their own standards according to what they think is best. What does not exist in Malta, but does exist in countries such as the UK and Australia, is a national policy specifically related to child protection which, once in place, stipulates that meeting these standards will be obligatory to each organisation. “The thing is,” said Borg, “once people don’t have an obligation from above, they tend to take a step back and relax, and say ‘we are doing our best'”. He added that this is reflected in the current investment in the workforce relating to child protection across the health sector, a field in which there is a dire shortage of professionals. For example, in more developed child-protection systems, you are expected to have a named doctor and nurse in every community health centre and in a hospital setting, you would have a named doctor, nurse and midwife. Borg’s research showed that 77 per cent of paediatricians have never received specific child protection training. “And keep in mind that these professionals are meeting children every day at work,” he said, adding “obviously the majority don’t feel confident and competent in going about child protection work, and this means that when it comes to children being protected we are perhaps not offering the best service. Child protection training should be obligatory not only for doctors, but for every professional coming into contact with children. “These shortcomings are repercussions from a lack of obligation on a national level. Once you have law and policies in place, it’s as if you have an obligation and sometimes that is what is needed in certain institutions,” he said. A 2017 law introduced mandatory reporting in the event of child abuse, which basically made it a legal obligation to report a case to the police or social workers when maltreatment or abuse is suspected. Failure to report a suspected case of abuse could result in a prison sentence of between four months and a year, as well as a fine, Borg explained. Mandatory reporting is known to have both advantages and disadvantages and although it has been implemented in a number of countries worldwide, the evidence regarding its effectiveness is poor, and it remains a controversial topic. “On face value, this might appear to be a positive thing, but in a situation where Malta does not yet have standards and processes that are engaging professionals in this type of work, including mandatory training, this can be very counter-productive,” he said. “Professionals are going to be afraid that if they are not doing what they are supposed to be doing, they could end up in prison, but if you are going to make professionals afraid of this work without them being trained, they will either over-report cases to insulate themselves professionally or else things will be swept under the carpet, and unfortunately it will be children left to suffer. “On the other hand,”| Borg added, “It is unacceptable that any professionals who have genuine concerns about the welfare of a child do not report or raise these concerns, and as such it seems likely that there should be statutory and professional obligations in place relating to the professional’s duty to report suspected cases. Disciplinary actions should be enforced if failure to report is not justified. However, the emphasis should be on implementing measures to better engage professionals in this work, rather than threatening them with prosecution,” he said. Borg argued that, with the current economic stability that our country is experiencing, children’s rights – and services that are intended to ensure the protection of children, including services for children in care – should be given more importance on the government agenda. “In Malta, we are getting a lot of minority groups with historical achievements lately, but when it comes to children, a vulnerable group, and especially in our current state of economic-soundness, why not put children’s rights and their protection higher up on the agenda?” he asked. He explained that improvement will involve both investments and multi-agency collaboration that make child protection the responsibility of everybody. This will ultimately be more cost-effective in the long run, given the direct and indirect costs related to the ill-treatment of children. “I am confident that we can get things right if there are people who listen and want to push things forward,” he said.